Following the recent Staff Forum, many people have been asking about the meaning behind the UCSA’s new logo. The logo was designed as an iconic representation of the Haere-Roa, spring-source of the Ōtākaro | Avon River, flowing through the University Campus. Alongside their new logo, UCSA have also incorporated Ākonga tū, ākonga ora as a motto, which was inspired in part, by UC’s vision of People prepared to make a difference – Tangata tū, tangata ora. Both statements are adapted from the original whakataukī (proverb), Tama tū, tama ora; tama noho, tama matekai (Ngā Pēpeha a ngā Tīpuna, Hirini Moko Mead and Neil Grove, pg 358), which captures the importance of being engaged, connected and active in life in order to flourish and live well. 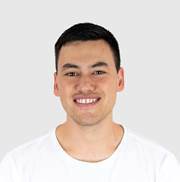 Ākonga is the te reo Māori term used for student across UC and so it was used in place of ‘tangata’ in the UCSA motto in recognition of their role as representatives and advocates for the UC student community. For the UCSA, ‘Ākonga tū, ākonga ora’ is about being there to support all UC students to belong and succeed. Named after the spring-source Haere-roa, the UCSA’s new building, embodies the tribal tenets of manaakitanga. It recognises UCSA as a place for all people to be welcomed, to rest, to be hosted and to receive sustenance. For many, UCSA will be a marker in their journey, it will be a place they stop to contemplate, replenish and prepare for the next part of the journey. 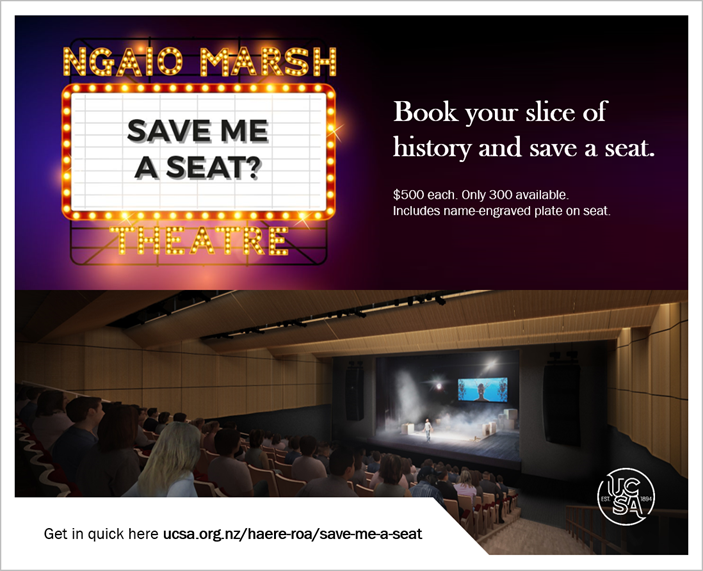 Find out below about the Ngaio Marsh Theatre Save Me a Seat fundraising initiative from UCSA President Sam Brosnahan. The Ngaio Marsh Theatre created amazing memories for generations of UC students. Now’s your chance to give future generations that same opportunity, and to be a part of the student experience for years to come. The earthquakes destroyed the old theatre, but they could never destroy its spirit and history. That lives on in everyone that watched, crewed or performed in a show. And that’s why it’s so important we bring the Ngaio Marsh Theatre back as part of Haere-roa, the new UCSA building. Of course, that requires money. (Yeah, you already know what we’re getting at with this.) But we think it also needs a sense of history. That when students step out on to that stage – maybe for the first time in their lives, maybe the only time in their lives – they feel like they’re part of a larger tradition. The tradition that you were part of. On behalf of students past, present and future, thank you for your support! Haere-roa, the new UCSA building is starting to take shape – the structural frame has been completed, and roof and cladding works are almost complete with the building due to be weather tight early in the New Year. Internally the work continues at pace with good progress being made on pipework, ducts, cables and walls. While work on Haere-roa is progressing, there have been some challenges along the way that have resulted in a delay to the construction programme. This means Haere-roa is now scheduled to open in Semester 2 2019. UCSA’s offices and the Events Centre/Foundry will remain in their current locations during Semester 1 next year. Find out more about the new UCSA building and the meaning behind its name, Haere-roa. Next year UC will start a construction project on Homestead Lane to build a new student residential hall, which is due to open in 2021. The new 500-bed hall of residence will be opposite Ilam Apartments and groundworks are due to start in early 2019. Homestead Lane is a narrow private road on UC property and traffic restrictions, including closures, will be in place during the project. Over the next 3-4 years, work will also be undertaken on Homestead Lane to enhance the pedestrian experience and improve safety. Some of this work will be carried out while the new hall of residence is under construction. Keep an eye out on the blog for updates about the new hall of residence throughout 2019. ECan have advised that from Monday 7 January 2019, the Orbiter bus route will change. It will continue from Greers Road, along Waimairi Road to the Bush Inn Centre. It will not include Homestead Lane and Ilam Road. Additional stops will be added on Waimairi and Greers roads. UC staff and students who wish to catch the Orbiter will need to walk down Homestead Lane or across llam Fields to/from Waimairi Road, or along llam or Clyde Road to/from Riccarton Road. The Purple line and route 100 will still use llam Road, and these routes connect with Orbiter. Other unaffected bus routes servicing UC are the 120 and 130. If you have questions about the Orbiter, please direct them to Ecan. 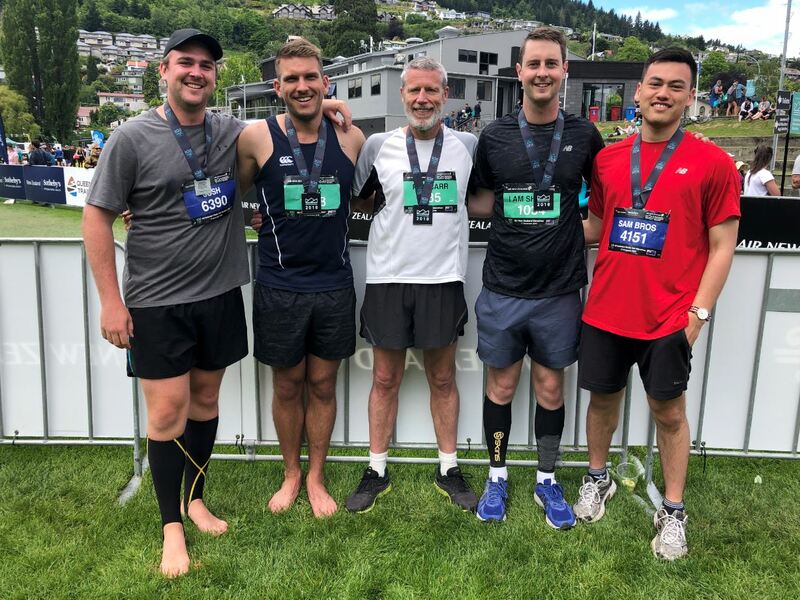 UCSA President Josh Proctor provides an account of fundraising efforts for the new UCSA building Haere-roa at the recent Queenstown Marathon. The Queenstown Marathon was a fantastic event that those involved will remember for a long time. Rod completed his twenty-first marathon and was accompanied by UCSA exec members Shayne Goldingham and Alex Holmes who were both completing their first. Alex and Rod ended up passing each other a few times throughout the race, with Alex eventually finishing slightly in front. 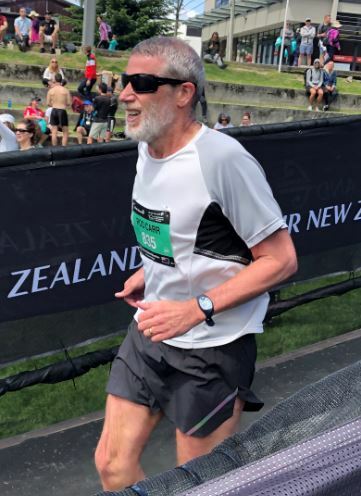 Shayne chugged away and his halftime Facebook message stating he was on track to achieve a PB was accurate, and despite the pain, he was all smiles crossing the finish line. Sam Brosnahan and I were entered in the half marathon, Sam’s second and my first. All in all, we had a lot of fun and are glad to have been able to run in support of Rod who raised over $11,000 for Haere-roa. The UCSA Fundraising campaign is etching closer to $3 million and we’re very excited to be opening our new home next year.